Maesmak is What’s your name? in Arabic. Maesmak is a meditative exploration of one day spent in Rutba in late 2002, to plant an olive tree against the war, just before the invasion of Iraq. 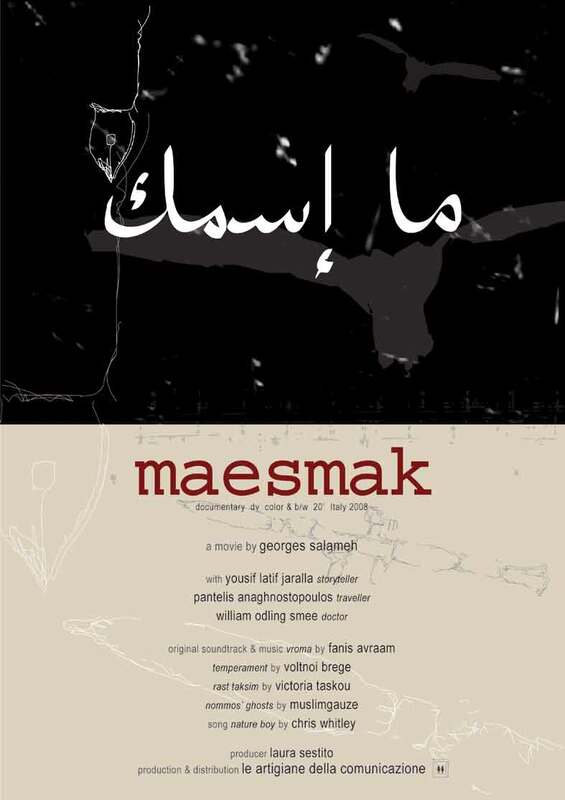 Set in 2002 in Rutba, Maesmak is a poetic documentary that portrays a road trip to Baghdad, a go-to-death journey experienced by a Greek traveller, an English doctor and an Iraqi story-teller. All this happens just a few weeks before the invasion of Iraq. Georges Salameh made a film about remembrance of what is already forgotten, what is already erased “from the books of creation, where the name and the date of birth is not there.” He builds up a story where the voice-over splits in three different voices (of the traveller, the doctor and the story-teller), the images succeed each other outside any rational sequencing and the irrationality of death and war is what binds and holds these images together. Salameh thus manages to speak about the unspeakable: death. He gives us a testimony of what precedes death and of the death’s effects developed in its shadow. As the doctor’s voice informs us, encountering death always entails a passing through stages of anger-denial-bargaining-depression before accepting the inevitable. The film’s images run as ruins and fragments of a pre-war world that moves in-between a black-and-white and at times colourful reality, while the music reproduces a certain sense of angst about the coming event of war and death. At times images become scratched by psychological traces, blurred by memory, or clear like mirrors that reflect and accept the forthcoming event. The film can be experienced as one-way street: what the Greek traveller wishes to do “…leaving from the same road by which I entered Iraq” is simply not possible. The road is no longer the same and the traveller himself has changed. The image cannot be forgotten, cannot be exorcised. Maesmak ends with close ups of children’s faces – shots that compel the spectator to remember how it is to smile after giving up hope and compromising with death; how it is to have a face that owns nothing but an innocent smile. Maesmak? What is your name? “Let us meet at the end of the day and let’s see if the books of creation have my name and date of birth”(an Iraqi child). Knowing his coming erasure (his state of no-name, no-body) the only thing the child possesses is his capacity to smile: a living proof of his humanity before he vanishes into a total of all numbers of war victims. After this screening the spectator cannot but remember ‘Maesmak’ as the name that will have been forgotten, since the film reminds him/her of the ethical ‘duty’ to pay homage to this imposed oblivion of the erasure of singular lives in wartimes. 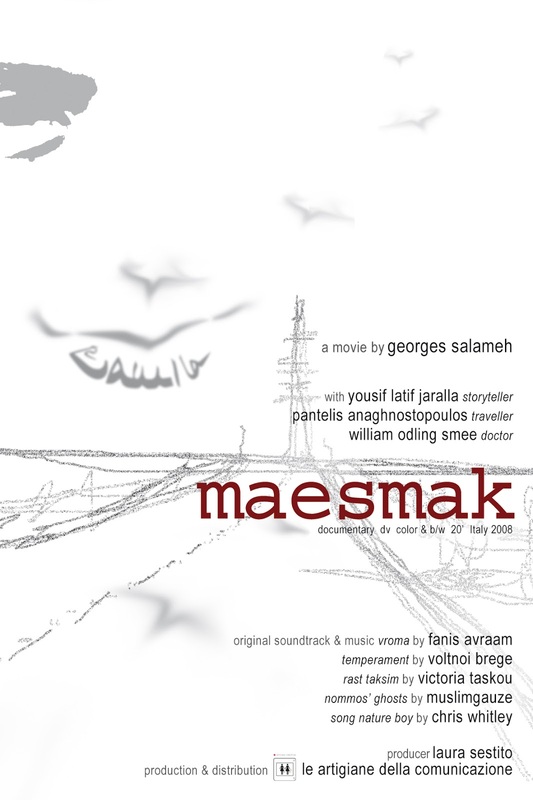 A remembering that takes place not through the lines of a written history, but though the visual forces of Maesmak.